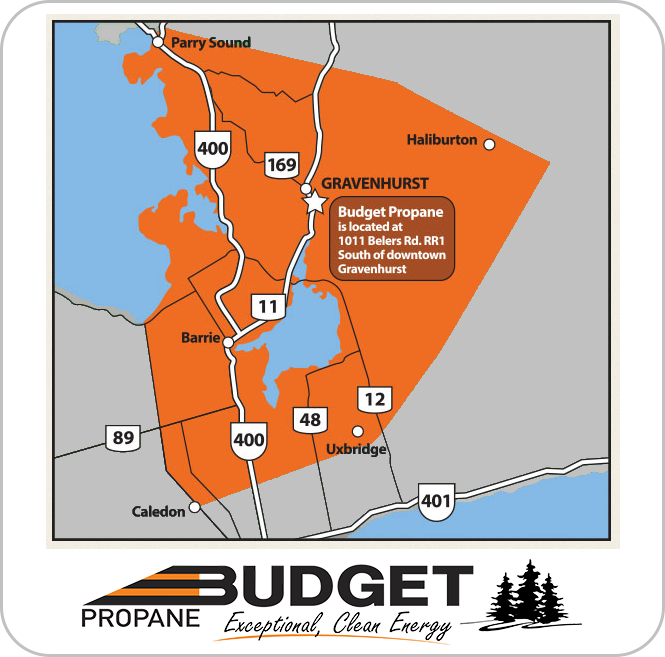 Budget Propane offers residential, cottage and commercial propane service throughout central Ontario, with numerous delivery and payment options to suit your needs. 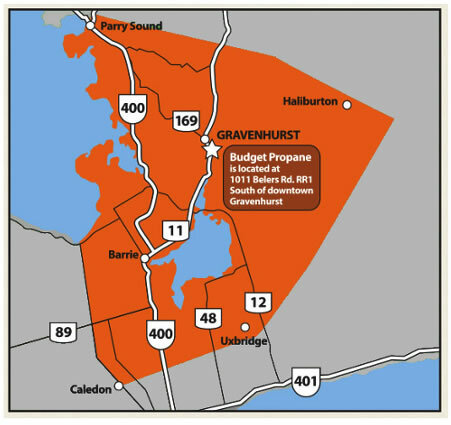 Budget Propane Corp. is a leading supplier of propane fuel across Central Ontario, Including: Huntsville, Parry Sound, Orillia, Bala, Bracebridge, Gravenhurst, Muskoka, Midland, Barrie, Alliston, Collingwood, Orangeville, Uxbridge and all the communities in between. If you have any questions, contact us today by calling or emailing our customer care representatives at 1-888-405-7777, or by filling out the Contact Us form. Give us a call today at 1-888-405-7777 for customer care, sales or delivery.